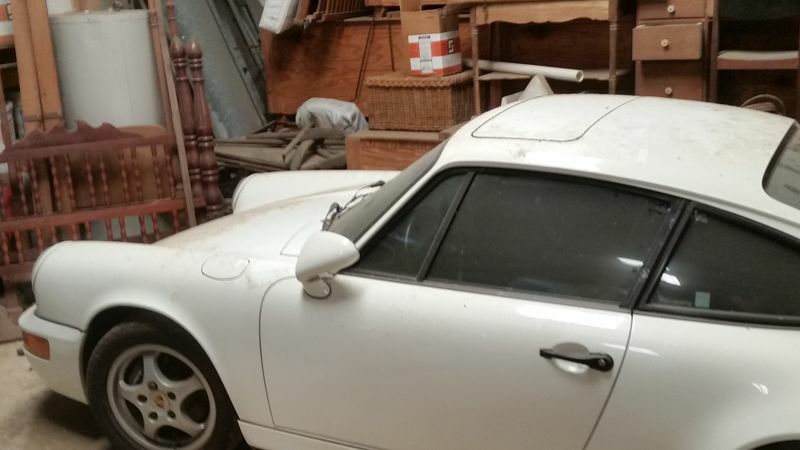 I have just purchased a 1992 Carrera 4 (964) that has been in dry storage for the last 15 years. The car has only 25,000 miles on it but I know it will probably take quite a bit of work to get it running and back on the road. Before the purchase I posted in the Marketplace forum under "Advice on Price 1992 Carrera 4". The purpose of this thread is to seek advice on how I should proceed. Invariably there will be a difference of opinion and that's ok by me. Life would be so boring if we all agreed on everything, right? So, if this were your car, what steps would you take to get it running? I think the biggest hurdle will be to purge or clean out the old fuel. Is complete disassembly of the fuel system absolutely necessary? Is there a fuel additive that can help dissolve varnish and clean out the system? Where is the fuel pump and filter located? I am hoping someone has walked this path before and can provide some guidance and if not, I am sure the collective experience of the enthusiasts on this forum should be able to provide some helpful tips. I have included a picture of it where it was found. Thanks in advance for any advice anyone wishes to offer.